OVER tells a story about a world that exists only for a very short time and is so inaccessible that it is hard to believe it really exists. 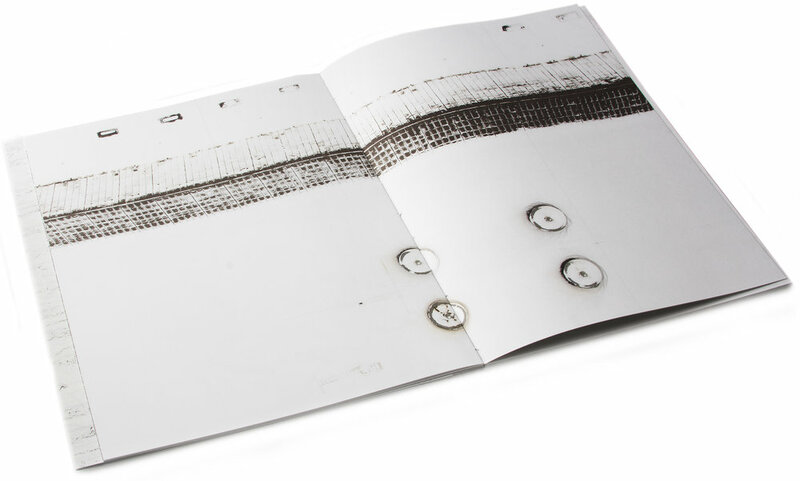 Kacper Kowalski's OVER is not a book you can ignore be it on your coffee table, desk or in a bag. Not just a book but a collection wrapped in a matte black cardstock portfolio case. The card stock is at once heavy and velveteen, giving it a welcoming yet tactile weight that makes you take notice. A single word is debossed in the cover, OVER. This is one of the many touches that makes OVER feel more like an art object than a collection of photos. Inside the case there is a two-sided color poster, on one side the index of every image in the book and on the other a full page print of OVER #70. The printing of this large image was so subdued that it took me several passes to realize that the print was full color and not two-tone. There are, to my eye, no color castings in the snow. A testament to both the photographer and the printer. The longer I looked the more browns and tans escape the dusting of snow. A chaotic arrangement of what looks like construction detritus guides me through the image, following the lines and curves of the piping and other materials. With every journey I find a little more color, some red-brown rust, light tan sand and even safety orange muffled by the snow. Each spot of color its own reward for having looked through the rich, dense image made of practical objects dissolving into abstractions and pleasing abstractions that reemerge into practical objects. The outside cover is a beautiful image of what appears to be a field, the rows looking like groves in a record with the title in white. As you open the cover the image continues to reveal a gatefold, part of the near-obsessive attention to detail, and printed on the inside cover is yet another long, beautiful panoramic of a marsh or forest. The lines in the snow, from wind, cars or the land underneath make the photograph look more brush strokes than documentation. Every photo feels meditative. I find that I don’t look at the photographs searching for a punctum or subject but instead let the images wash over my eyes as I take in the images. The snow makes the land into fields of subtle gradients. Divots in the earth, hills, and ponds are all sources of brush strokes their lines softened & muted by the ever-present snow. This creates gentle tonalities that feel more of part of the world of abstract painting than aerial photography. For example, OVER #12, there is a slash of cement, punctuated by snowy tracks, that feels so brutal as it breaches a sea of gentle white snowdrifts. One single set of footprints passes through the slash, a poetic human element in images that can feel so post-apocalyptic. The type of binding used allows most pages to lay completely flat. Making it easier to spend great amounts of time looking at the photographs so that their full weight can be experienced. This is not a book to be flipped through casually. Kowalski has made a book that gently but firmly asks you to spend time with it and rewards you for it.